Fundraiser by Trista Smith : Send Us to Summer Fest! Send Us to Summer Fest! HELP SEND OUR KIDS TO SUMMER FEST! As you all know, Fayetteville AR has some of the most talented young musicians. Now we need your help. We have 14 kids that we would LOVE to send to Summer Fest in Milwaukee, WI. Summerfest is the “World’s Largest Music Festival,” and has a long history of hosting notable bands. This comes at a high cost to the parents as we have to pay for transportation, lodging, food and fees. We are hoping to offset some of the cost with donations so not just some, but every one of the band members can attend. Our kids work just as hard as any other kids playing sports or competing in academic competitions. They pour their heart and soul into their music and we would love to reward them with this once in a lifetime opportunity. Every single dollar counts and if you aren’t able to donate please share! We will have other fundraisers as well, so stay tuned! Big fun coming your way! 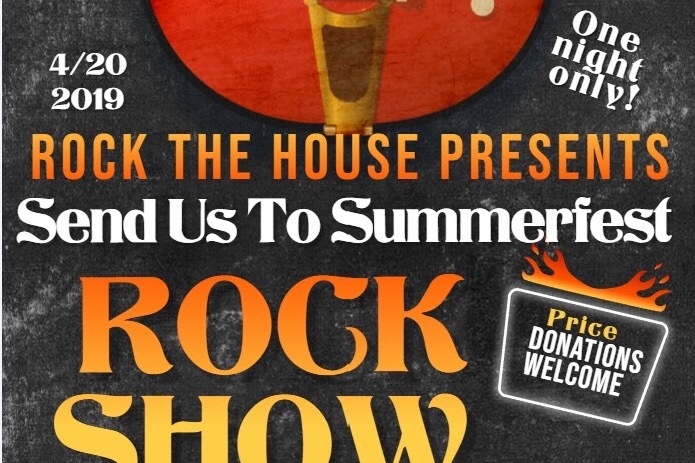 Please join us for our Rock The House - Send is to Summerfest party! Click the link to see event details! Thank you all for your donations! We will continue to accept donations until or final deadline! I will probably shut this down the last week in April to ensure our money is here for our May 1st deadline. Also, check out our blog for future fundraising events!